Castell means castle in Catalan - the language of Catalonia, a historic nationality in Northern Spain. 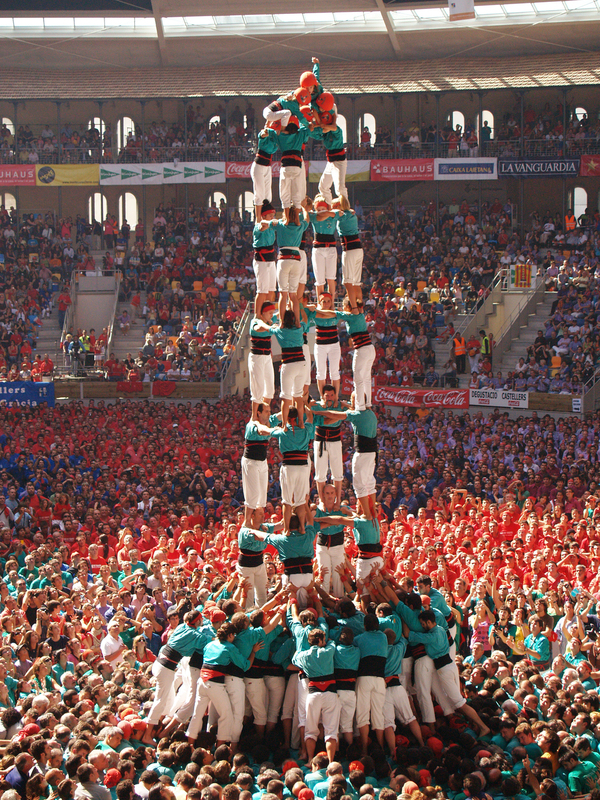 It refers to the Catalan ritual of building human towers. Building human towers has become a sport of sorts, spreading across the globe, displaying great feats of strength, courage, and unity. 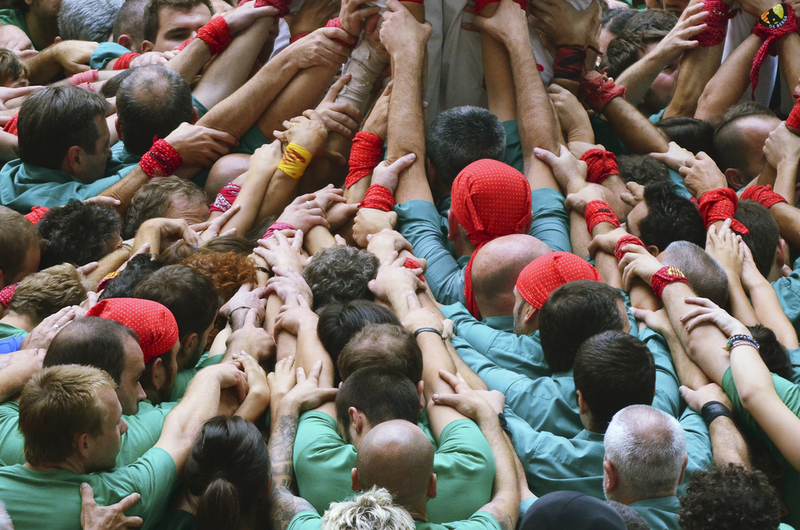 The motto of castellers (members of the human tower) is "Strength, Balance, Courage, and Reason". The formations require all four characteristics on both an individual and communal level. Balance is everything. I was first drawn to castells because of the obvious feat of balance. 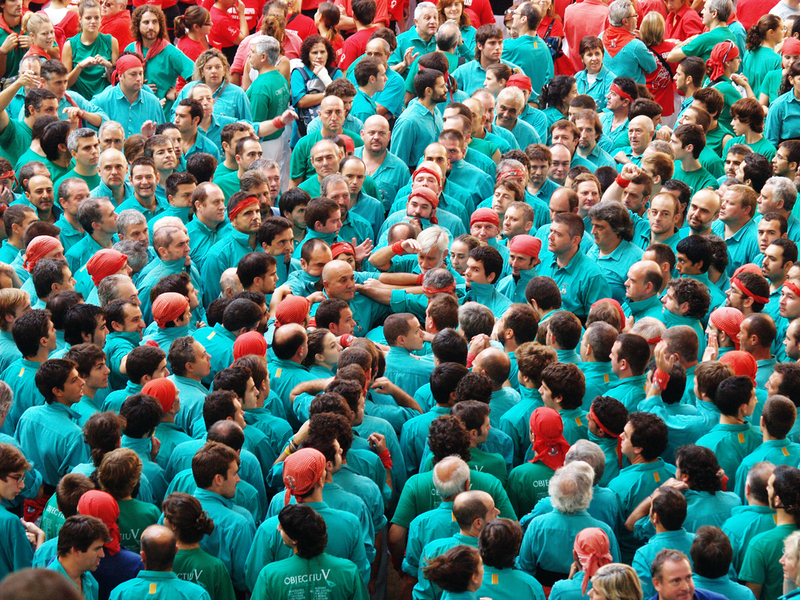 You can tell balance is a key aspect of castells just by looking at one. As I learned more about the tradition, process, and skills involved, it quickly became apparent just how much castellers are balancing. There is certainly a physical balancing, but also an internal balancing on many levels. I chose this namesake for my practice because of the similarities between the symbolism of castells and my philosophies about life. I believe the old adage "it takes a village" rings true around the world. However, modern society often overemphasizes the importance of independence, which can lead to struggles over autonomy versus community. With this practice, it is my intent to provide therapy that can strengthen our independence, renew our communities, and help us find balance in life.